Novaturient helps job candidates that are seeking powerful change in their work, behavior, or situation. They are a small-startup based in Cincinnati, Ohio, striving to change the way America looks at on-boarding new talent into an organization. They approached me last fall to help design their brand and communicate qualities of trust, empathy, and accuracy. M80 Inc. is the only design studio to harness sub-cultural imagination for progressive clients who long for authenticity in an era of high-volume sameness. This is the only-ness statement of my daytime employer, industrial design firm M80. Since February of 2016 I have been developing the new brand identity and website design for the firm. It was needed because we needed to improve how we communicate ourselves as thought leaders, and industry innovators, and not just industrial designers. Some of these designs were for me, sometimes for others — in either case, they popped into my head, and needed to be created. Laura Brooks, also known as her artist moniker Ellebrux is a local fine artist who has been painting and threading beautiful geometric mountain paintings for several years. Laura needed a new digital presence that matched the personality of her artwork. 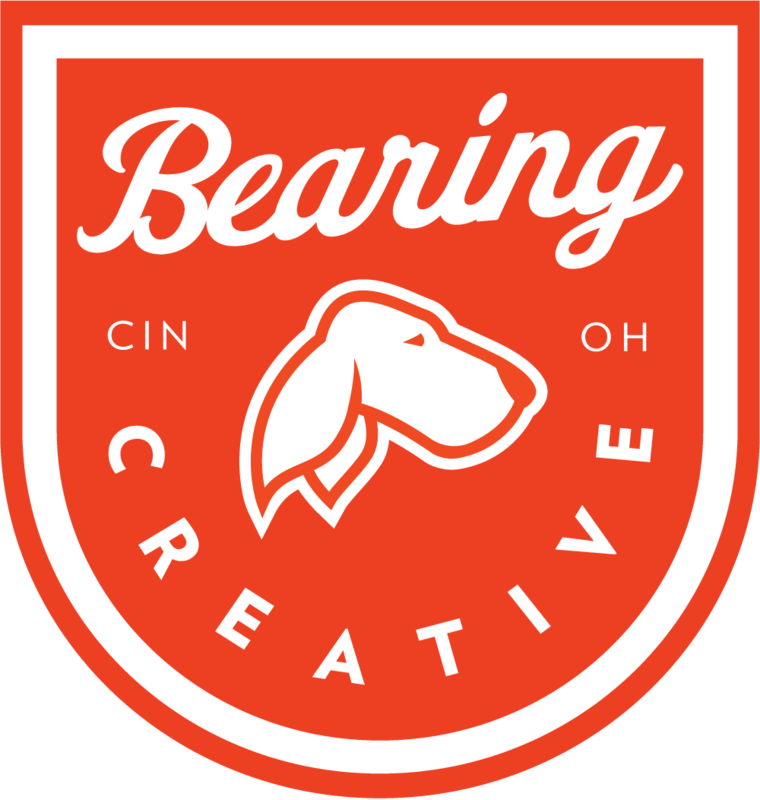 Bearing created a logo based directly on her artwork and color palette. She required various print collateral such as business cards, booth signage, and bags to engage with her customers at shows and markets. Serenata Beach Club provides a full service, private beach club experience that blends casual comforts with a refined beach lifestyle. During the spring of 2015 I re-designed their website and mobile presence to help deliver increased traffic and inquiries about memberships. The client was seeking a clean interface that has a stronger beach-oriented vibe about the site. It was also crucial that the private mobile & desktop UI made it seamless for members to make tee times reservations, contact their friends, learn about club news, and register for social events. This work was completed during my tenure as a designer at Clubessential LLC who owns the rights to this work. I was approached by three innovative students from Cincinnati State University, who were heading up a project to convert available, recyclable plastic into consumable oil for a needy rural Indian community. To aide with their grant application, I created for them a brand identity complete with a logo, typography treatment, PowerPoint template, and brochure layout. For the last two years, I have begun a new tradition of surprising a friend or family member with a portrait of their favorite pet. I plan on doing this project every year as a fun way to practice techniques and make others happy with a sentimental gift.